Having been officially unveiled at MWC 2011 last week Samsung's follow-up to its formidable Galaxy S handset, the Samsung Galaxy S II has been made available for pre-order ahead of a March release. 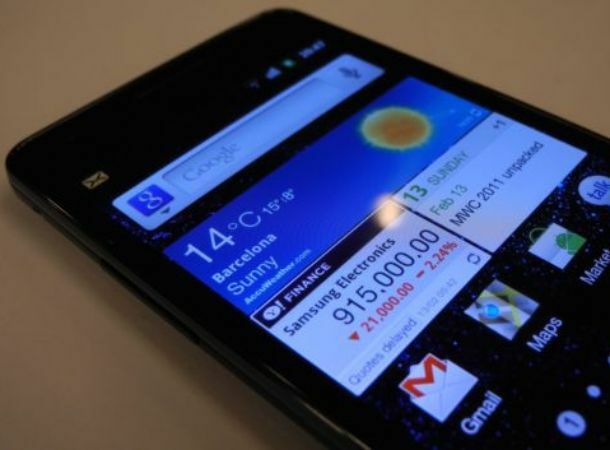 Available via online tech retailer Clove, the Android 2.3 touting Samsung Galaxy S II, also known as the i9100, can be pre-ordered now with wannabe owners needing to fork out £612 for the 16GB model or a whopping £708 for the 32GB edition. Set to launch with a 1GHz dual-core processor and stunning 4.3-inch Super AMOLED Plus display, the Galaxy S II will come equipped with an 8-megapixel rear-mounted camera with Full HD 1080p video recording capabilities and a second 2-megapixel forward-facing snapper. At just 8.49mm thick the Galaxy S II boasts a stunningly sleek design and weighs in at just 116grammes. Fellow online retailer Expansys is currently hosting the 16GB Samsung Galaxy S II for £649.99 with a touted June 20th arrival. The 32GB edition is currently unavailable from Expansys. Speaking exclusively with T3, an official Samsung spokesperson was unable to shed light on anyfinalised arrival time or pricing stating: "At this stage we can confirm that the Galaxy S II will be available in the second quarter during May. We are unable to comment on price as this is set by the operators." Is a £600-plus price tag too high for the spec-impressive Galaxy S II? Let us know what you think via the T3 Twitter and Facebook feeds.